These fittings have AN 4 thread at one end and 10mm-1.5 on the other end. It can be screwed into a GM metric caliper with 10mm-1.5 threads to adapt to a steel braided AN4 line. 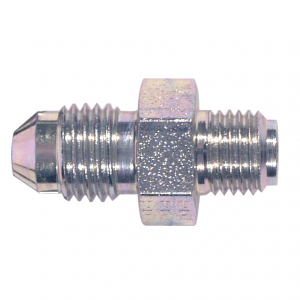 These fittings have AN 4 thread at one end and 3/8″ IFF on the other end. 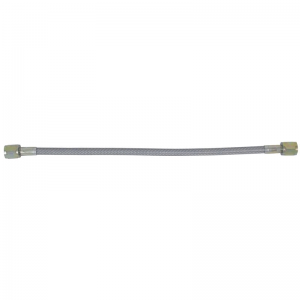 Used to adapter a 3/16″ steel line a steel braided AN4 line. 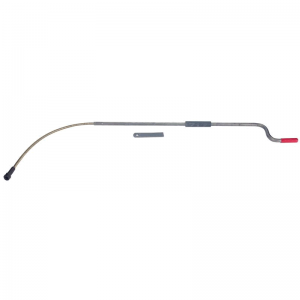 Crank-type balance bar adjuster cable. 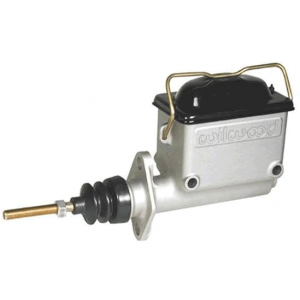 Enables the driver to easily adjust the brake bias. For use with dual master cylinders. 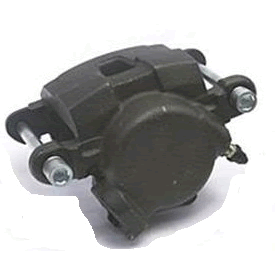 Stock replacement single piston metric calipers for 78-88 GM metrics. 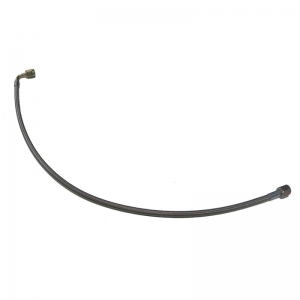 This 3/16″ steel brake line kit is specifically designed for our Medieval stock car chassis. 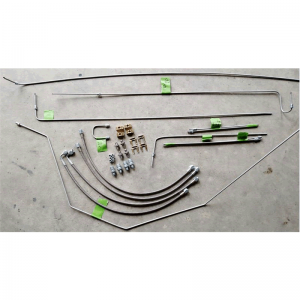 This 3/16″ steel brake line kit w/ calipers and pads is specifically designed for our Medieval stock car chassis. 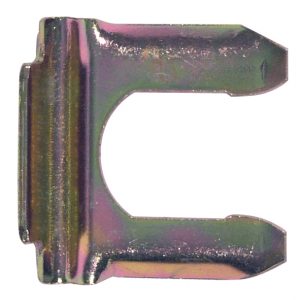 These brake line retainer clips are used to hold the straight line adapters (6174029) into the brake line mount tabs (MMX601-103). 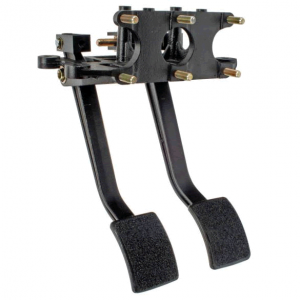 Titan’s dual pedal assembly combines the brake and clutch pedals together in one unit and positions the master cylinders inside the firewall, away from engine heat. 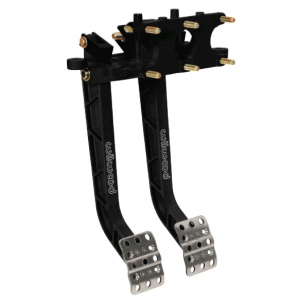 Wilwoods new Adjustable Mount Pedal assembly combines the brake and clutch pedals together in one unit and positions the master cylinders inside the firewall, away from engine heat. 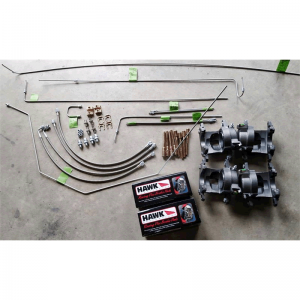 Get superior stopping power with Hawk Performance! 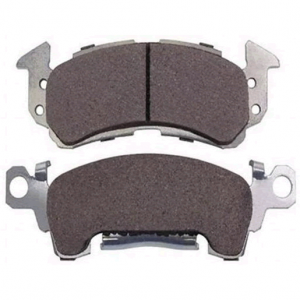 Hawk Performance brake pads have been successful in virtually all forms of motorsports for over 16 years. 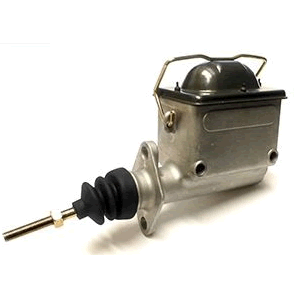 Titan aluminum master cylinder feature high pressure die-cast bodies from high-grade aluminum. 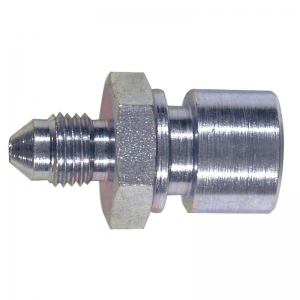 Wilwood High-Volume Aluminum Master feature high pressure die-cast bodies from high-grade aluminum. 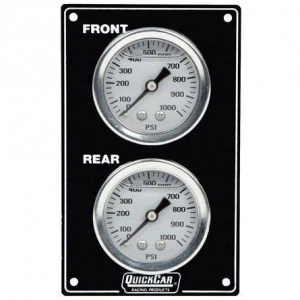 This QuickCar 2-Gauge Panel Kit is Vertical Mount Model that has Two 1,000 PSI Brake Bias Gauges that use 1/8 NPT Male Fittings.